Players required: 2 goalkeepers and minimum 2 outfield players. Set up grid 20 X 40 yards as shown, goals 2 yards wide. 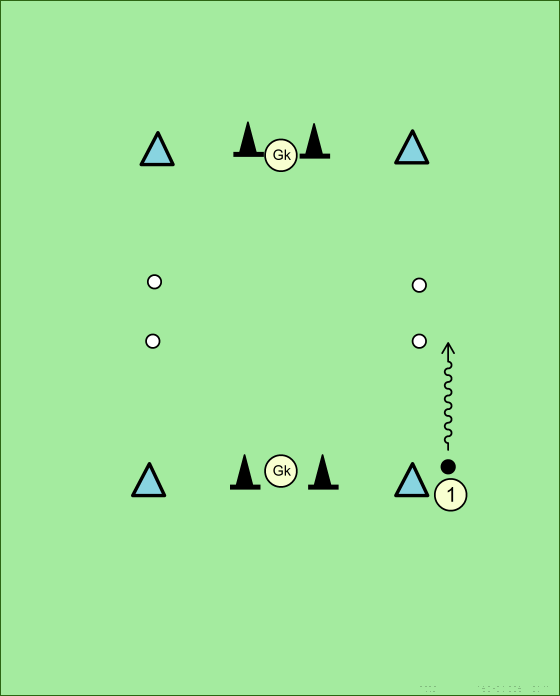 Player 1 runs with ball to marker saucers. Player 1 passes ball on floor to keepers' feet and continues run. Keeper passes ball back to player along floor using his feet. Player 1 continues with ball around outside of grid. 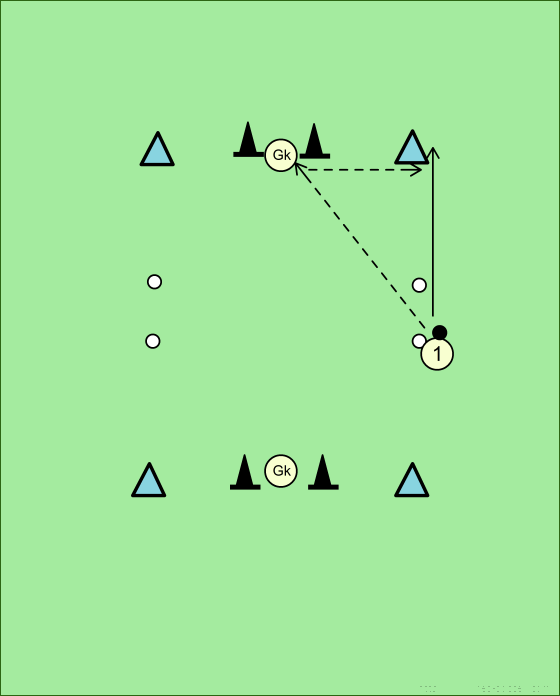 At marker saucers at opposite side, player must chip the ball into the arms of the 2nd keeper and continue run. Keeper rolls ball back to player who continues to dribble around outside of grid. When player gets behind 2nd keeper he passes to the next player before leaving the game.